* Frequency stability is inclusive of calibration @ 25°C, operating temperature range, supply voltage change and load change. The GXO-E72L is supplied on tape and reel. 1k pcs per reel is the standard T&R pack size for this product. Partial quantities may be supplied on tape (no reel), or in bulk. 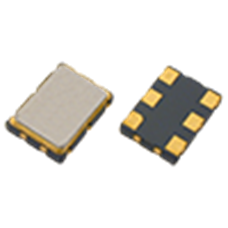 Available over a wide frequency range of 40.0~200MHz, the GXO-E72L produces differential LV-PECL outputs with low phase jitter of 0.3ps typical (12kHz - 20MHz). The GXO-E72L requires 3.3V supply voltage and features industry standard 7.0 x 5.0mm ceramic package with metal lid and gold plated pads. To request a quotation for the GXO-E72L please use the configurable options form to choose the options you require and then submit your configured product to our team. Our expert advisers are always happy to help with your requirements and can be contacted on +44 1460 256 100 or at sales@golledge.com. Our GXO-E72L is included in the following design libraries. Click to download the library of your choice. 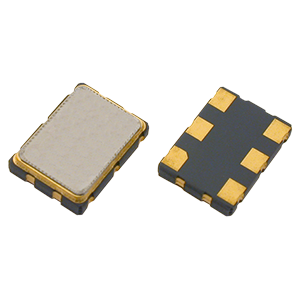 Available over a wide frequency range of 40.0~200MHz, the GXO-E72J produces differential LV-PECL outputs with low phase jitter of 0.3ps typical (12kHz - 20MHz).